BuddhaHand: BuddhaHand - CopyCat or CopyDog? 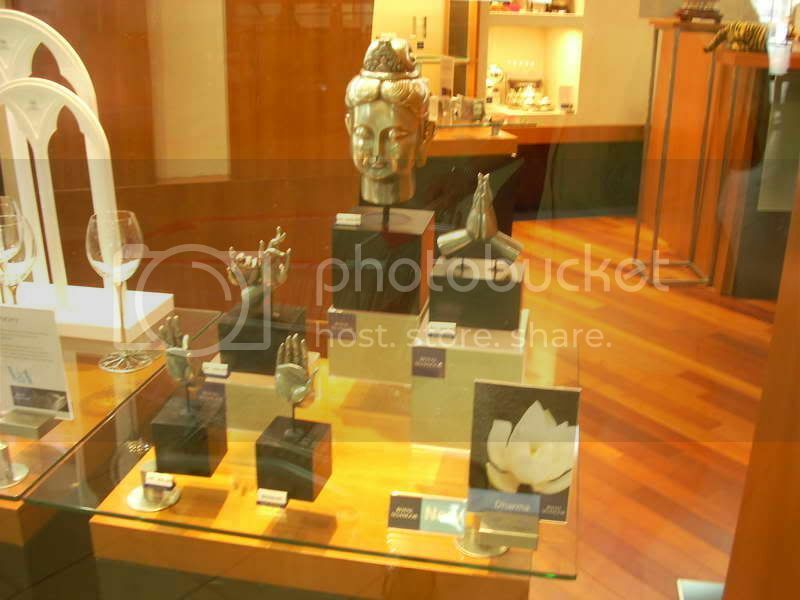 Last November 2009, on a trip to 1 Utama, I noticed something very familiar on display at an outlet own by the world's famous pewter maker. This collection came out of the moon. Normally, they would advertise their new collection or to coincide with a celebration. E.g. The Chinese New Year. However, this particular collection pieces were just up on a prominent display at the door front. Since, it was prominently displayed at the main entrance, it was new but then on the wrong occasion. The last Wesak Day was in May 2009. The next one is on 28, May 2010. On further inquiry, this collection was released back in Oct, 2009. The story of my BuddhaHand was published by Kwong Hwa on 3rd July 2009. So I guess somehow my interesting story was made known to this maker in KL from their agent in Penang. They called them the "Dharma Collection". Lucky NOT the "Mudra Collection". They have made a wonderful duplication pieces here with the pewter. I think the unique of a masterpiece is lost when everybody can have that similar piece. My BuddhaHand is one of its kind in the world - NO 2 PIECES ARE ALIKE. Smalltime artist like me need your support from the big player like the one above.